OK. Since I am over my upset regarding what I was asked yesterday. I thought it would be fun to keep a list of the funny things that people have asked or said to me. Again, the reason I am not posting this to my adoption blog is because I would really like to keep it positive. I like to soapbox here on my family blog, so here is another post. Some of the things people have asked me I have found humorous. Some things they have said were in very poor taste, pervasive, personal and downright rude. I try to determine why someone wants the information about our adoption. Is it because they are considering adoption? Or are they asking me these questions because they are about to educate me on how they would have done it? Anyway…here is a list of my favorite questions and comments that I have ACTUALLY had to listen to. My first instinct is to be gracious and try to help them understand the process, or understand our decision. However, most of the people who ask these questions are so socially inept and they don’t realize how stupid, rude or unnerving their questions are. Steven says there is no fix for stupid. So, here are the questions. If I hear ANY of them again, I will simply walk away. 7. Don’t you think you can find a doctor who will help you have more children? (Sigh…why does everyone want to “fix” me. I don’t want to be fixed…hehe. I am not a dog, nor a cat or an animal. Why do you ask this question? How will the knowledge of how my body works benefit your life? I am not sad about it. I am fine. Again, fertility is not the issue. I have always wanted to adopt and am glad to have the opportunity at this time in my life to be able to adopt). 9. It is so much cheaper to adopt in America, why have you not done that? Or found a surrogate mother? 10. It takes such a SPECIAL person to adopt a SPECIAL child. God bless you. OK, now that all of my friends are reading this and are now scared half to death to say anything to us about our adoption…hehehe…I will assure you that none of you have been insensitive or rude. You have been kind, caring, supportive and loving. I am aiming for the stupid people who will probably never read this. Sigh…probably a futile task. But, it did make me feel better and gave me some laughs this afternoon…remembering some of the silly things people have come up with to ask me. I have not even brought our son into our home yet and I can only shrink to think about all the dumb things people are going to say to his face once he gets here. Beware, it will be mama bear protecting her cub! Oh well…Happy Memorial Day! I hope you enjoyed it with your family or however you wanted to celebrate it! I thank all of the men and women who died to protect our rights and to protect our great nation. I pray for all the loved ones who have lost family members and friends in the recent wars. May God’s peace rest in your life and may you know that your fellow Americans are thankful for your family or friend’s sacrifice. It will not go unnoticed. It will not go un-thanked. God bless America! This morning, I was so proud to be able to bring a picture of my son to church and show some of my friends who our new son is going to be. I cannot post any pictures or information online until we get permission. So, I printed out a small photo and was just giddy with excitement regarding the new addition to our family….Alex. My friends and family are so happy for me and I am so glad they are. I guess it is the random nosy person who happens to be close or hears our conversation and wants to get in on what is going on — that has been the thorn in my side. Don’t get me wrong, these people are few and far between. But when they pop up, it totally catches me off guard. This morning, I was showing my picture to someone else and a lady sitting close to me looked at it and then proceeded to question me about why we chose an older child, why can’t we have anymore kids? Why aren’t we going to try to have any more of our ‘own’ kids. 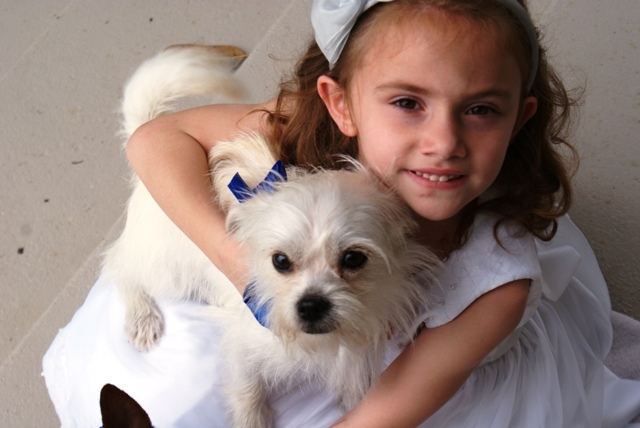 Why did you choose adoption? I do not mind answering questions about our adoption. I have talked to several people who are curious about it. I certainly don’t mind talking about the process or our decision. I certainly didn’t enter into adoption lightly or without thought. This has been almost a year in the making. What irritates me, I guess, is the know-it-all, (inject sarcasm here) you know the who has been with me during this whole process and helped me fill out the paperwork, compile the dossier. Yeah, the one who was right by my side last Auguest when we made the decision to adopt and started planning. Whatever! She just found out about it today and she is questioning whether we made the right decision and questioning our choice of country, our choice of age. I was struggling to find something to say. I was trying to answer her questions, but offended that I had to. She was holding a picture of MY SON in her hands and she was already making me feel like I made an inferior choice and that if I would have asked her sooner (she has NEVER adopted) that she could have given me some sage advice on the subject…despite all the research I have done, books I have read and adoptive families I have interviewed…yeah…I definitely should have asked HER first. I almost made that sarcastic remark. That next time I decided to adopt, that I will call her first to get her permission. But, thankfully, the gracious lady that was buried waaaaaaaaay deep in me somewhere came out and was kind to her. It was hard. Real hard. Do I have to answer those questions? Is it rude not to? I think it is rude for someone to ask me about my reproductive plans and question my adoption plans. Is it not ok anymore to adopt because you just wanted to adopt? What is the alternative? That this little boy stay in an orphanage without a mom or dad? Without someone to love him? He is well taken care of at the orphanage and seems to be well adjusted and happy. I am so thankful for that. I am so thankful that I have the honor to adopt Alex and that he will call me mom. I am so thankful to God for allowing everything to work out the way it did. I am so thankful for a husband and daughter who shared the same vision of one day adopting. So, just for fun, what should I have said? Help me formulate some answers for nosy people. Please keep it rated G. I welcome any humorous responses too and if I really like it, I will use it! I need a laugh! Oh my, I had a good laugh this afternoon. I found a letter that I received in June of 2008 at my place of employment. I received a phone call from a young man and he was wanting to set up interest free loans for our clients. As many of you know, I worked for Charles Charrier for a couple years and did up until last week. Anyway, I very kindly told him that we did not need interest free loans for our clients. He was persistent and started asking nosy questions about our business, how we handle our client files, etc. and I basically told him that it was none of his business how we operated and that I hoped he had a good day and since he was still arguing, I just hung up. We received numerous phone calls of that particular nature, he was not the first. Anyway, the next day, my boss got a letter in the mail from this dude calling for my resignation. Since my blog is rated G, I blacked out the name he called me. But what cracks me up most about this letter is him telling us how much money he is going to make. I don’t know what takes the wind out of his sails more: 1) the fact that he calls me an inappropriate, unbusiness-like name; or 2) that he is writing his very strongly worded letter, in pencil, on notebook paper. Really? He has yet to send me those check stubs, by the way. I ran his name on Google and he graduated LSUA in December 2008 with an Associates in Art degree. I was nice enough to black his name out. If you have been following my other blog, you know that we are adopting. We also made the announcement here a few months back. What does it all mean? Everyone has been asking me about the process. So, in order to keep myself sane during the long wait we have ahead of us (waiting on paperwork), I will take some time and explain the process here. As of last night, our Letter of Intent was translated and submitted to China. It basically said we found our son on the waiting child list and these are the reasons we want to adopt him. It takes anywhere from a couple days to two weeks in order to get a Preapproval back from China. In the meantime, we have 6 months to complete our dossier and submit it to China to adopt him. The good thing is, our dossier is 99% complete (see our Adoption Timeline page). The only one piece of paper I am lacking is the I 797 from USCIS. We were fingerprinted over a week ago and it takes about 2 weeks from the fingerprinting appointment to receive the I 797 (Approval of Immigrant Visa Petition). This is giving us approval to apply for a Visa for our son. We have to send a copy of this with our dossier. 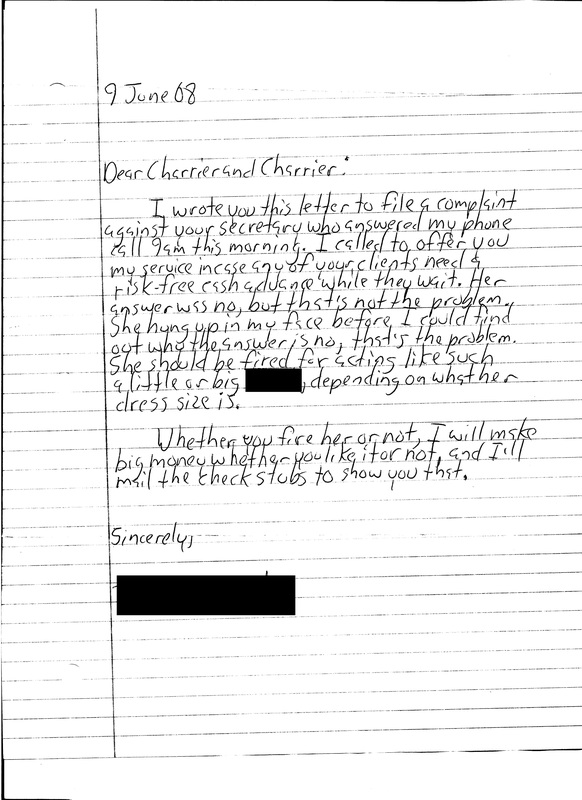 When I receive the I 797, I am going to send our entire dossier (there is picture posted a few posts down of our dossier documents, they are extensive), to our adoption agency for review to make sure we have everything and did it properly. Once they Ok our dossier, they will submit it to China (DTC = Documents to China). Since we are adopting a waiting child, our dossier will be put on the expedited fast track. China takes about a month to review our dossier and once approved gives us a lock in date (LID). 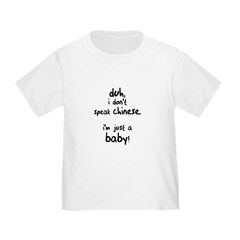 When we get our LID and our official approval that we can adopt our son, we are able to take that document and Petition the USCIS with an I800 (Petition to Classify Convention Adoptee as an Immediate Relative) to bring our son back to the USA. We also file for our son’s US Visa. The I800, from what I understand, takes about 6 months to completely go its rounds. It has to go to the USCIS, then to the National Benefits Center, then to the National Visa Center, then to China (it may go to the US Consulate, then to China…this process is somewhat new to me, I am still reading the paperwork on it.) Then China issues us an appointment with the Consulate there. All of these things have to be done because China is a Hague Convention Country. Non Hague countries take about 2-4 months before travel. So, once they issue our consulate appointments, China will invite us to travel and we will go and pick up our son. The above does not sound like a lot, but the paperwork takes a while to process. This is going to be the part that drives me nuts. There is nothing I can do but wait. Once we get our preapproval from China and get permission to post pictures and information, I will share more information about our new son. Until then…..
1,100 boxes of cereal? 20 jars of pickles? Who needs all that? To hoard it? To give it away? Neither of these are good reasons to spend 6 hours of my precious time planning for a strategic strike. Multiple transactions? NO WAY! Not only would that make me grumpy, it would make the sales clerk and the people behind me grumpy too. Some people enjoy the challenge of finding items and working the system to get it at the lowest cost possible by checking out in multiple transactions. While many say there is nothing wrong with this, I for one do not have the time to check out at the register in multiple transactions, nor do I care to store all the stuff that I got for “free” or for next to nothing. Not to mention, I know this statement will probably have people up in arms, but why buy so many items? Your are depriving other people from enjoying a sale too. Nothing annoys me more than seeing people clear the shelves. I had coupons too that I wanted to use, but now that you bought 100 boxes of the same cereal, I cannot use my coupon. More and more stores are starting to limit multiple coupons and just last week, Kroger posted a sign at each register that said that they will NOT do multiple transactions. I think that this will be a continued trend by stores. I also noted that many coupons say: Limit one per transaction, per person. Or, not subject to doubling, etc. I think the funniest thing I hear extreme couponers say is: “Well, when it gets close to expiration or if I bought a lot, then I just ‘bless’ someone else with it, or donate it to a food bank.” While this is admirable, how can this be a savings to you if you are not consuming it personally? I would prefer to focus on brands I normally buy and things I normally eat and buy somewhat normal quantities. For me, this system works a lot better for me. Extreme Couponing, Is It Worth It? “First pretty much everything you saw tonight can’t be done in most grocery stores. They will not let you check out for 5 hours and do 18 transactions back to back, and nor should they. The lady shopping in the Kroger store in Houston lives in an area that will actually no longer double coupons starting next Wednesday. Most stores have a limit on the number of like item coupons they will accept or a limit on the number of like coupons they will double. (We will see Bi-Lo break their own policy for this in a few weeks on another episode). 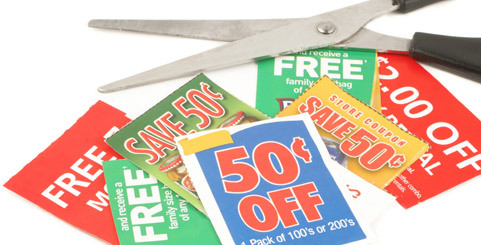 Many coupons are starting to have limits written on them “per transaction” and “per customer”. Forget extreme couponing, let’s just talk about using coupons and using them wisely. The very last link I posted above, the woman gives sound advice. It is something I do already: Pick one store you are comfortable with, start small and once you get used to it, you can expand to buying more than 2 weeks to a month’s worth of groceries at a time. The strategy is very simple and does not take hours of preparation. By being loyal to one store, you start seeing the pattern of sales and will know when things will come up for sale. If you sign up for a loyalty card, I use Kroger for example, they send you weekly emails about what is on sale and you can also load digital coupons right on to your card. How easy is that? That is a little less clipping to do. I log in online, add coupons that I know I will use. It will also let you make a grocery list based on the sales paper, then you can print it at the end and it will print your grocery list, as well as a list of what coupons you have pre-loaded so you won’t forget. Easy as pie. The steak, pork chops and chicken were all on sale. I bought all three, they were already half off, then I used a $3.00 off coupon that Kroger sent me for the meat department and I had an extra coupon specifically for $1.00 off the chicken. I saved $4.00 on top of the sale prices. I had a coupon that printed at the register the last time I was at the store that if I bought 4 Pilsbury, General Mills or (can’t remember other brand), items, that I would get $2 off. So I bought 3 cans of Pilsbury biscuits (we eat the like crazy), they were on SALE for $1 each, and I bought one box of instant potatoes, also on sale for $1.69. So my total was $4.69. And I got a $2.00 off coupon good for my next grocery visit. Which I used last night to buy dog food, which NEVER goes on sale. I am not going to say it was “like” paying $2.69 because that phrase irritates me. I did pay $4.69 and took my bonus coupon and used it on another item that I know never goes on sale but I have to buy anyway. I bought some Herbal essence spray gel which also usually doesn’t go on sale. It was $2.94. I forgot I loaded an ecoupon on my card for it about a month ago, so it was a bonus to get the .60 off! A nice surprise. That is why it is good to go and load the new coupons on things you normally buy every week when they send the email even if you do not need it immediately, still load it. They usually do not expire for 60 days. CLOSE YOUR EYES MEN! Playtex, which normally is $4.99 a box, went on sale for $2.53 a box. I had a $1.00 coupon and only paid $1.53! Also, at register, it gave me a $2.00 coupon on my next purchase of 2 boxes of Playtex. I will hold on to this until they go on sale again. Arm and Hammer Detergent (the perfume and dye free, the ONLY one I can use) went on sale for $3.99, normally $5.99. I had a $1 coupon, so my final price was $2.99. I also had coupons for Tide, but Tide was not on sale. It does go on sale at a deep discount twice a year. I will hold on to this coupon until it does. These are the only two detergents that I can use. You don’t have to sacrifice little things that you like either. I like Haribo gummy bears. MY FAVORITE! I noticed they were on sale 10 for $10 (you don’t have to buy 10 by the way, they are still only a dollar each if you elect to buy lesser quantities). They were $1, which is .39 off. I also had a coupon for .30 off and my final price was .70. Those were some good gummy bears! Due to my allergies and Vivian’s slight lactose intolerance (she still drinks some milk), we generally buy a lot of soy milk or almond milk. Whatever is cheapest at the time. The Almond Breeze was on sale for $2.99, normally $3.59 and I had a $1 off coupon that I saved waiting on it to go on sale. My finally cost was $1.99 for a gallon. Not shabby. You will notice that a lot of the items were not on sale and those items I generally buy anyway. A common misperception is that people who use coupons buy brands they do not normally buy. This is not true in my case. I do buy some of the better brands because of allergies. And sometimes, if it is cheaper to buy the better brand over the store brand, heck yeah! I will buy the better brand. I have lots more to say, but will maybe continue in another post later. I will be having a coupon class soon and will announce the date and location. I have another friend who coupons a completely different way. She has a larger family and she has subscriptions to paper coupons. She has a great way of saving money and knows all the rules about doubling and tripling coupons. I am going to get her to tell her strategy. The bottom line regarding couponing is: You have to find what works for YOU.